There are so many movies outdoors on the big screen in Boston this summer for free. Grab some blankets, lawn chairs, and some popcorn for some free and fun summer nights! Most movies start at dusk, and a few have rain dates if the weather does not cooperate. All movies are free and open to the public! 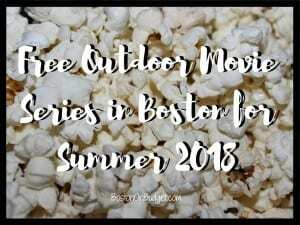 Boston Harbor Hotel has a free movies series every Friday night in the hotel’s courtyard from June 15, 2018 to August 31, 2018 this summer starting at dusk. WBZ NewsRadio 1030 and the Department of Conservation and Recreation host this annual outdoor movie series. Free Friday Flicks are Fridays this summer at the DCR Hatch Shell starting June 22, 2018 to August 24, 2018. Movies start at dusk but the fun kicks off at 6PM. Magic 106.7 Family Film Festival takes place every Saturday night from July 7, 2018 to August 25, 2018 at the Prudential Center’s South Garden. Free outdoor movies start at dusk, but entertainment, children activities, and more start at 6PM. The rain date for all films are the following Tuesday if needed. 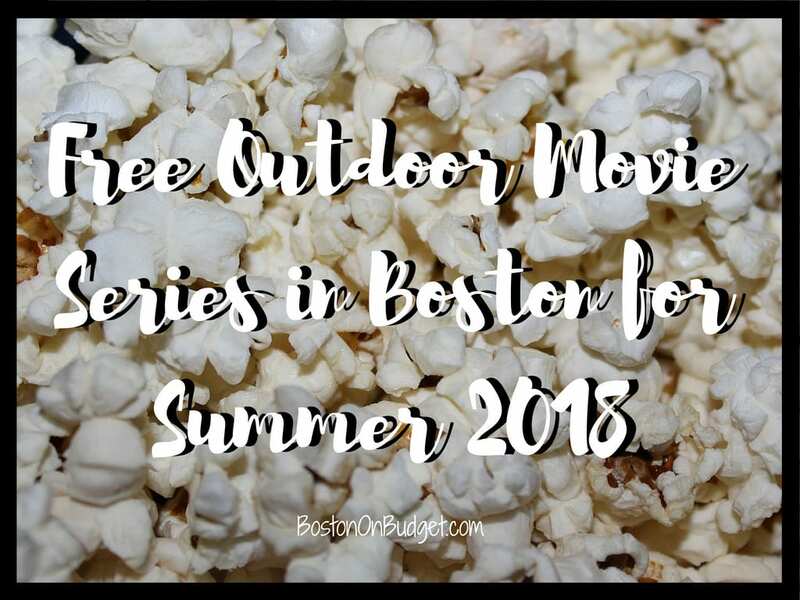 Enjoy a free movie under the stars at Sylvester Baxter Riverfront Park in Somerville on Saturdays from July 7, 2018 to August 25, 2018 starting at dusk. Enjoy a free movie night on the lawn at Christopher Columbus Park every Sunday night from July 22, 2018 to August 26, 2018 starting at dusk. The Coolidge is partnering with the Rose Kennedy Greenway Conservancy for a free outdoor screening at the Greenway’s Wharf District Park at sunset. For more information about The Coolidge at the Greenway free movie series, please head here. Celebrate Asians and Asian Americans in film by watching classic kung fu films and other Asian films this summer at the Gate in Chinatown. This free film festival is August 24-26, 2018 at the gate in Chinatown. Enjoy this free monthly film series on the Museum of Fine Art’s Huntington Avenue Lawn. There will be music, art making, and lawn games 90 minutes prior to the free movie. For more information about Sunset Cinema at the MFA, please head here. Narragansett presents a free movie screening of Jaws on The Lawn on D in South Boston from 8-10PM. Enjoy musicals outdoors on the Davis Plaza at Wellesley College with free movies and ice cream. Movies start at dusk. For more information about the 2018 Summer Film series, please head here.